The compact Classic Cantabile light case offers a high capacity, reliable security and durable stability. 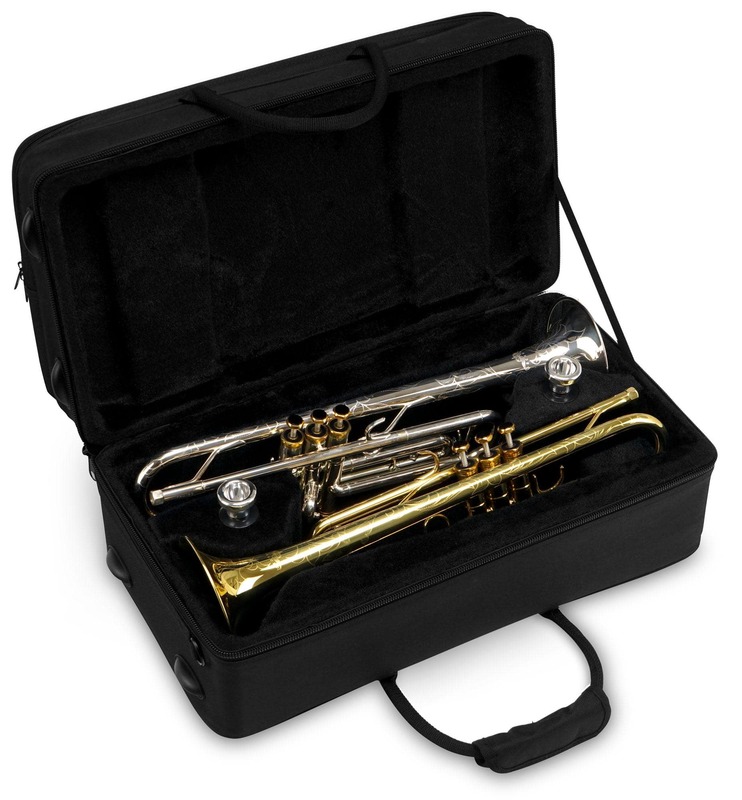 The interior of the trumpet case is designed to safely protect one or two trumpets. 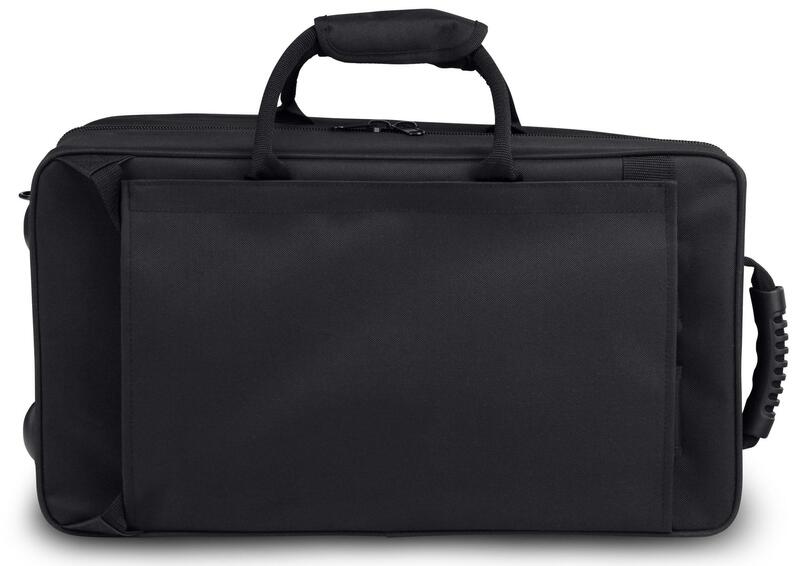 The especially lightweight thermal material and foam core of the case guarantee that your trumpets will stay in place and be protected in a variety of temperatures. 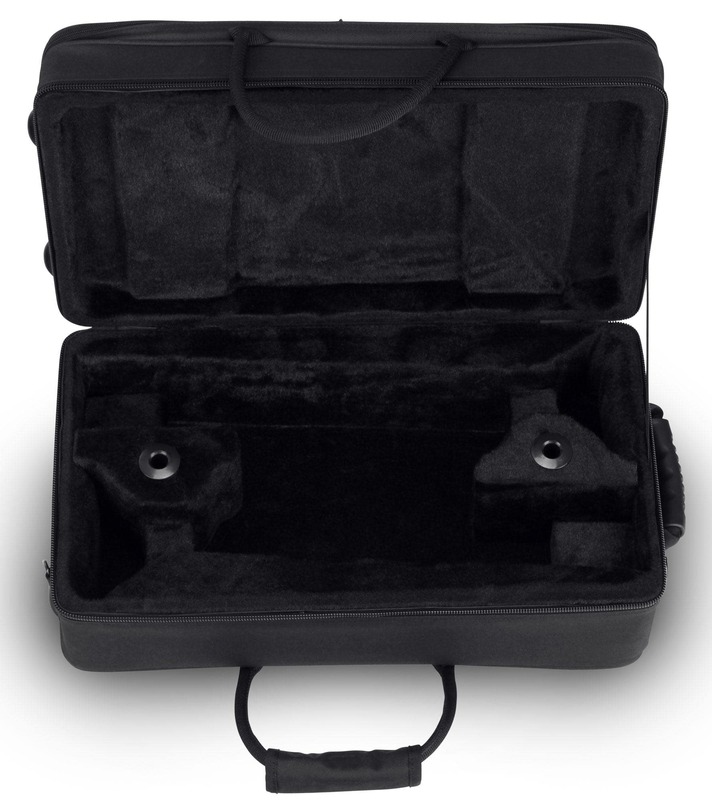 The spacious extra pockets on the outside of the case provide generous storage space for music and other accessories. If you like to bike or just like to keep your hands free, you will love this case's backpack straps. 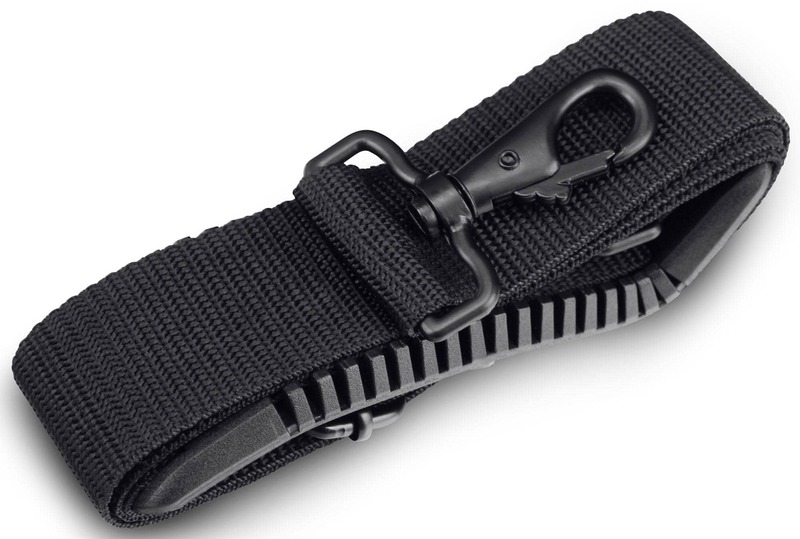 The straps have comfortable padding and are adjustable. 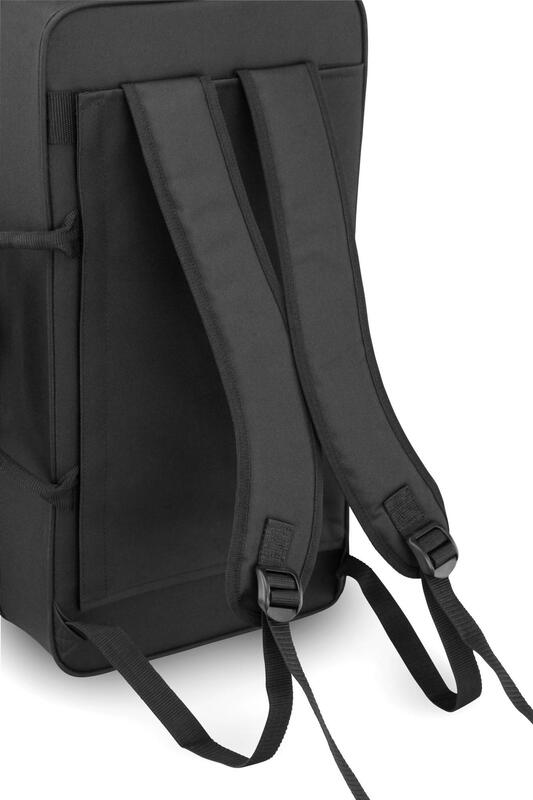 A cover flap allows you to store away the backpack straps when not in use and stays in place with the help of Velcro so that the straps won't dangle. 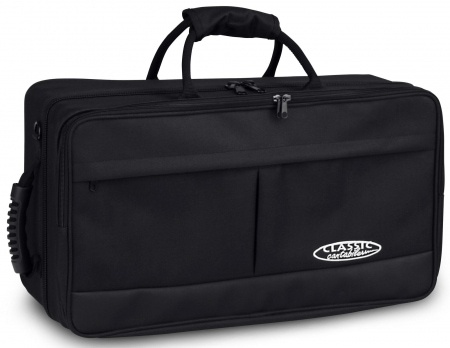 Note: The case is not suitable for trumpets with rotary valves. 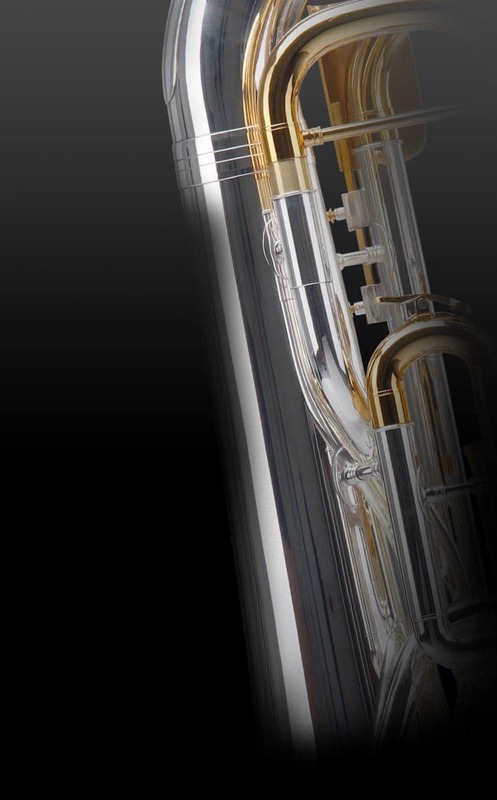 Everything you need for trumpeting on the go with the TRB-2! Il prodotto è una bomba, spazi comodi sia all'interno che all'esterno. Tasca grande comodissima per mettere libri di ogni tipo. Solo un piccolo appunto: gli spazi interni per mettere gli strumenti non sono di una grande qualità..
Diese Tasche haben wir bisher in großer Stückzahl verkauft und noch keine einzige negative Rückmeldung erhalten. 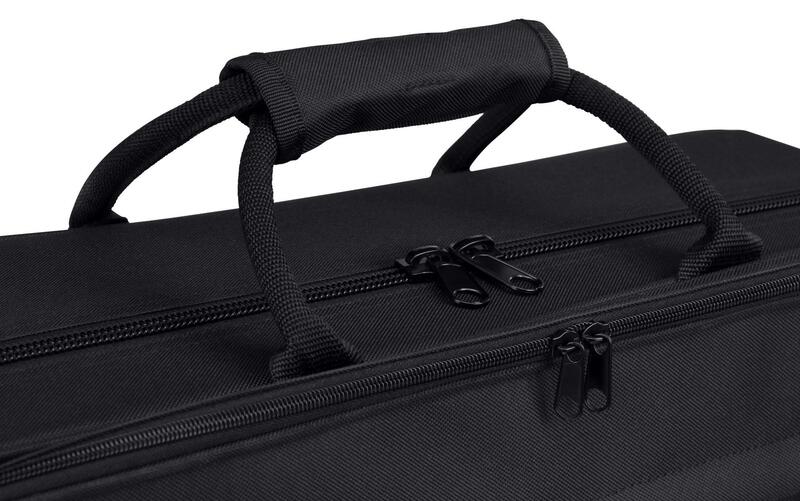 Wenn die Tasche für Ihr Instrument nicht passt, können Sie diese im Rahmen des Widerrufsrechts selbstverständlich ohne weitere Kosten zurückgeben.